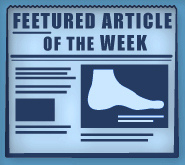 Debilitating foot pain is a problem for many people. But just as stretching the torso can help alleviate back pain, stretching the feet can also mend existing problems and prevent future ones. The feet carry the entire weight of the human body all day and can get easily strained from overexertion. Persistent sharp pain and cramping in the feet are common problems. Foot pain and problems can be due to any number of causes, and in many cases pain may be eased without medication or doctor visits; however, it is always a good idea to rule out any serious medical issues first with a physician. Stretching may help relax the feet and alleviate pain at any time, but it is especially important before heavy aerobic exercise to avoid painful cramps or straining muscles in the feet. Stretches should be performed slowly and deliberately without forceful pulling. The stretch should be held for several seconds, and then relaxed. A great way to stretch out and loosen up the foot muscles while sitting is to cross one leg over the other and pull the toes carefully back without overextending. Start by resting the left ankle on the right knee. With the left hand, gently flex the left foot by pulling back on the toes. Do not pull too hard, just hard enough to feel the stretch in the arch of the foot. Then point the toes of the left foot as far as you can. Rotate the motion of pointing with pulling back on the toes. This should relax and stretch the muscles on the bottom and the top of the foot. Doing this stretch ten to twenty times should bring relief. Repeat the whole process for the other foot by resting the right ankle on the left knee. A stretch that focuses on the often injured Achilles tendon involves standing, facing a wall, with your arms out and hands flat against the wall. Step back with one foot, keeping it flat against the floor. Move the other leg forward and lean toward the wall. You should feel a stretch through the back of your leg and your Achilles tendon, but do not push yourself too much. Stop when you feel the stretching sensation and hold for 30 seconds. Ten repetitions may be done for each foot. Stretching the feet is important for athletes or those performing aerobic exercise, but it can also help anyone with foot pain caused by poor footwear, plantar fasciitis, or long hours standing and walking. Individuals who tend to their feet by regular stretching every day should be able to minimize foot pain and prevent new problems from arising.